This week, it happened again…. One morning, early in the week, I was finishing up lunches and water bottles, preparing to send my kids out the door for their day at school. I usually add a few pieces of fruit to my water and my daughter’s, so we will have a hint of flavor as we stay hydrated throughout the day. I find if I put it in the bottom of the bottle before I add the ice, it stays out of the way. Right now in New England, we are moving past our summer fruits. The berries and soft orchard fruits—like peaches—are not as readily available. Pineapple, various melons, and citrus fruits will become our go-to choices for the winter. On this particular morning, it was a few leftover strawberries combined with orange slices—a pretty tasty combination. The minute I made the first cut into the orange peel, the zest sprayed out, filling the kitchen with its strong, distinct scent. This scent is one that speaks unmistakably of winter and holidays to me. 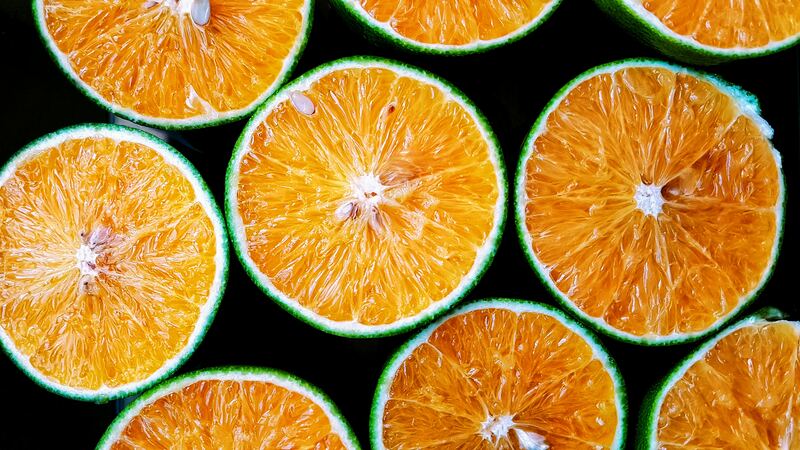 On this morning, the smell brought me instantly to thoughts of Dad—the neatest orange peeler ever—and my childhood home; every year, just before the holidays, my parents buy oranges from a local high school citrus sale. And suddenly, I began to wonder who might help Mom with the sorting and moving of her oranges this year—the boxes are bulky and heavy. And the grief came flooding in like a tsunami. From that one simple act of cutting an orange, the week continued with moments of grief both intense and ephemeral. 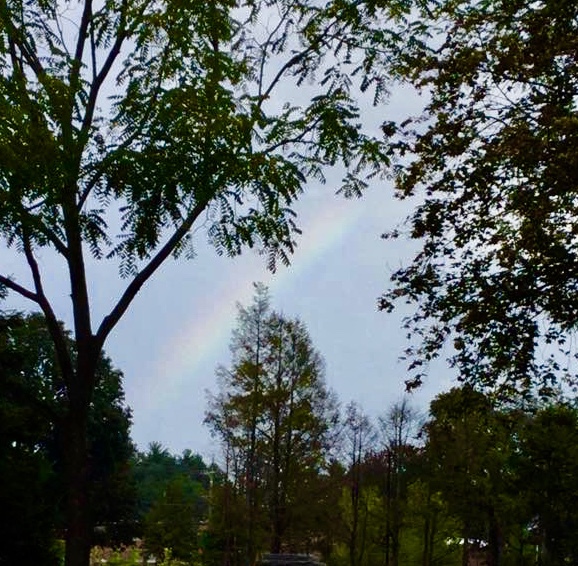 And on Friday, I walked out the door of my office building on a hazy, humid, and partly sunny day to a rainbow in the sky directly in front of me. It hadn’t rained, and the sun was struggling to shine brightly through the haze. And yet, there it was, a beautiful swath through the sky. This grief thing… it can be a thorny path. But I’m becoming increasingly convinced that grief is not something to be overcome. Maybe, tucked in among the thorns, we find the beauty of the roses.